I love ham, especially holiday ham. It’s more than worth the time spent learning how to cook ham in order to have a finished dish that’s golden, delicious, and perfect for holidays like Christmas and Easter. My friends and family make fun of me because of how I am always excited to eat a thick cut of juicy ham. It’s because of my excitement that I am always able to grab extra ham to take home with me. Now I am in a quandary of what to do with all the leftover ham I have. I need some leftover ham recipes! 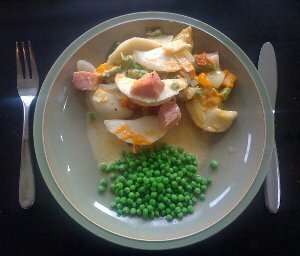 Luckily, AllFreeCasseroleRecipes.com has the answer for me with 14 Incredible Leftover Ham Recipes. Be sure to check out all 14 amazing recipes, but for right now, here’s a sneak peak of four of them. 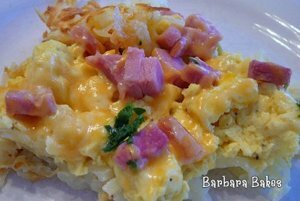 There is no better way to start your day than with a delicious breakfast casserole filled with gooey cheese, warm potatoes, and, of course, thick and succulent strips of leftover ham. This Breakfast Hashbrown Casserole is so easy to make and it tastes so good. This is one of the all time great leftover ham recipes. I grew up on pierogis so I love them. They are so doughy and delicious, I could eat them all day. However, as good as pierogis are, there is one thing that could make them better: ham. 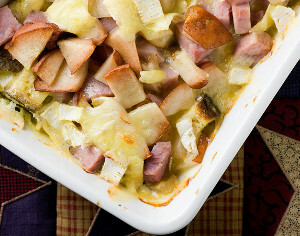 This Ham and Pierogi Casserole is one of the best leftover ham recipes in town. By the way, while this recipe does call for store-bought pierogis, don’t use them. Homemade pierogis may take a long time to make, but trust me, it’s worth the wait. Don’t settle for any plain pasta dish. Make one that is so full of flavor it is like a party in your mouth. 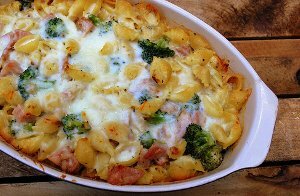 The creaminess of the cheese sauce combined with the meatiness of the ham mixed in with a warm bed of noodles and vegetables makes this Ham and Pasta Bake one of the best leftover ham recipes around. How often have you prepared a dish with brie in it? How often have you prepared a dish with pears in it? How about a dish with BOTH pears and brie in it? You’ve probably never made one like this before, but you should. This Ham, Brie, and Pear Bake is so easy to make and tastes so good that you’ll wish you would have known about it sooner. What is your favorite way to cook a ham?